This Dies & Punches helps you to produce round shape tablets. Normally round shapes Dies & Punches used by all industries. This Dies & Punches available with different sizes & concavity as well as flat in plain & engraved/break line as per your requirement. We are a unique name in the industry, devoted towards manufacturing the best quality range of Pharmaceutical Dies And Punches. 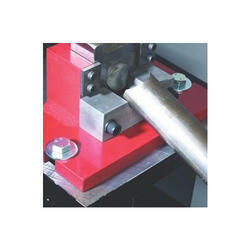 We are instrumental in offering a wide gamut of Dies And Punches for tablet shaping. All our products are developed using superior quality raw material with latest technology as per international quality standards. Customers can avail these products from us in varied sizes, shapes and dimensions as per their requirements. We are offering Punching Die to our clients. We are having advance technology CNC wire cut machine with 15degree (+ & -) tilting head. We can do wire cutting of any complex geometry with in 0.01mm accuracy level. We provide inserts as well as completely fabricated dies for a wide variety of industrial processes. 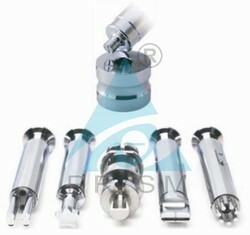 TP-3010: 28 PCs Transfer Punch Set. 3/32 to 1/2"
TP-3011: 28 PCs Transfer Punch Set. 1/2" to 1"
Our company is highly esteemed in offering Cut Off Die to the clients. With sincere intentions to maximize our reputation in the industry, we are offering a comprehensive assortment of Press Punching Die in the market. Our clients can avail this product from us at the most reasonable price as per their accurate requirements. We have carved a niche amongst the most trusted names in this business, engaged in offering a comprehensive range of Oval Shape Punch Die.